Method Race Wheels is a new race wheel company born out of off-road racing. Method wanted a slick looking website that acted as a showcase for product and their sponsored athletes, as well as a basic and functional e-commerce package. 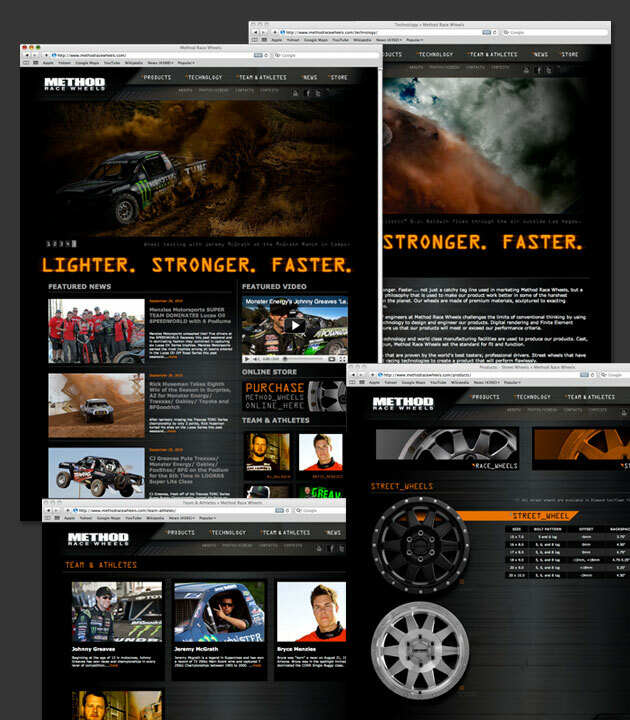 We built them a custom multi page website that was not only cool looking, but highly functional and simple to update.